How to enrich your life and destroy doubt in 5 seconds. Throughout your life, you've had parents, coaches, teachers, friends and mentors who have pushed you to be better than your excuses and bigger than your fears. What if the secret to having the confidence and courage to enrich your life and work is simply knowing how to push yourself? Using the science of habits, riveting stories and surprising facts from some of the most famous moments in history, art and business, Mel Robbins will explain the power of a “push moment.” Then, she’ll give you one simple tool you can use to become your greatest self. It takes just five seconds to use this tool, and every time you do you’ll be in great company. More than 8 million people have watched Mel’s TEDx Talk, and executives inside of the world’s largest brands are using the tool to increase productivity, collaboration, and engagement. 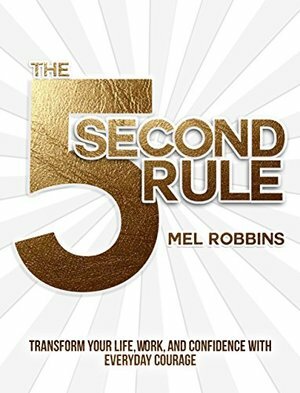 In The 5 Second Rule, you’ll discover it takes just five seconds to: Become confident Break the habit of procrastination and self-doubt Beat fear and uncertainty Stop worrying and feel happier Share your ideas with courage The 5 Second Rule is a simple, one-size-fits-all solution for the one problem we all face—we hold ourselves back. The secret isn’t knowing what to do—it’s knowing how to make yourself do it.